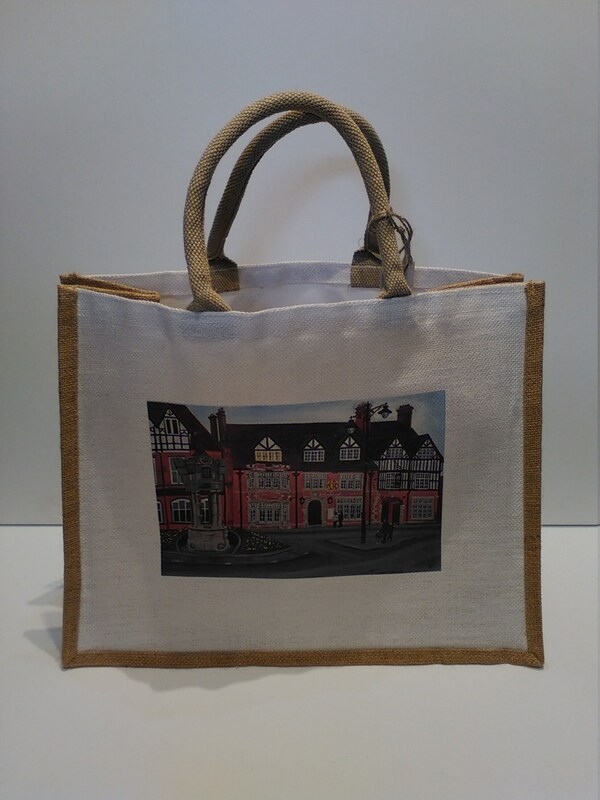 Amsterdam Jute shopper bag featuring printed work of "Sandbach Cobbles" by Christian Turner. Dimensions: 42cm x 33cm x 18cm. Two 40cm handles afixed to top of bag. 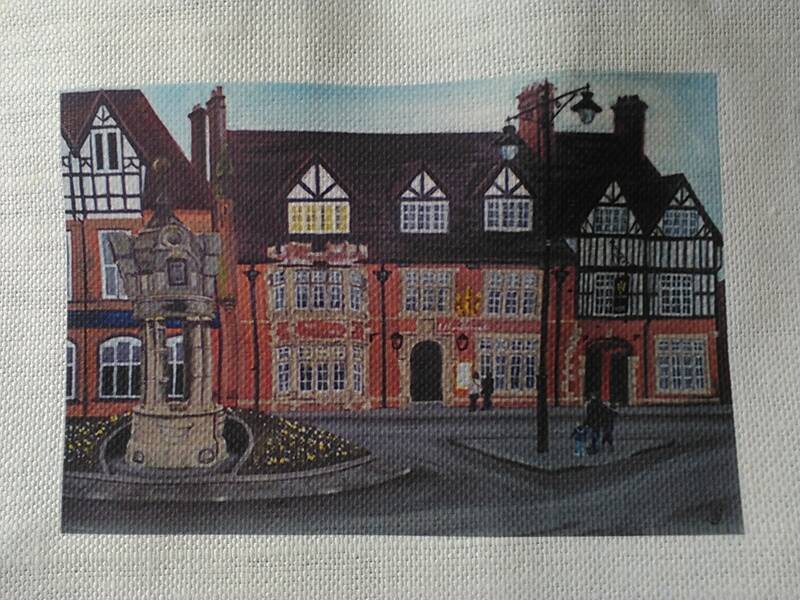 Image printed on both sides of the bag. Interior lined to protect contents from wet weather. 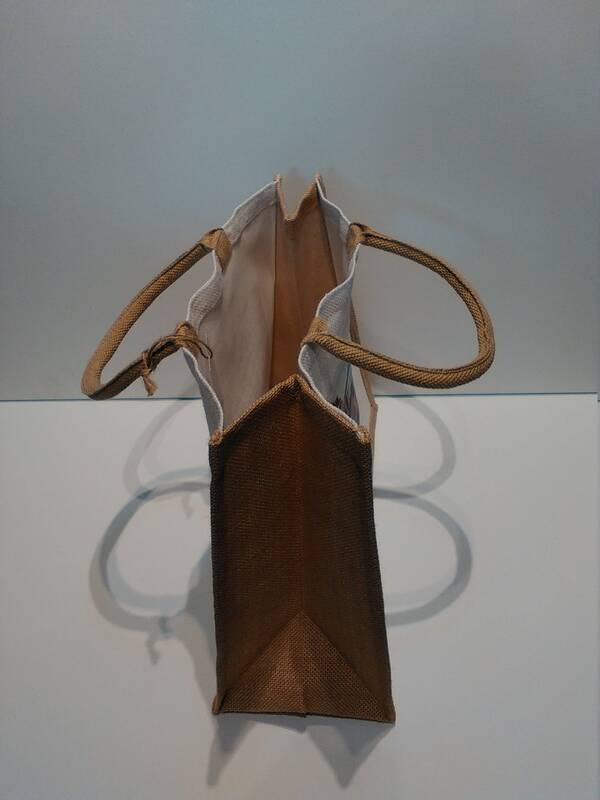 Sustainably produced, ideal alternative to plastic bags.